Theta waves play a very important role in the human mind. They represent the subconscious mind and everything what has to do with it. Theta waves play a key role in meditation. When we start to shut off our busy minds and simply concentrate on either our breathing or on the mere fact that We Are (or on something else), the amount of beta brain waves reduces to a minimum and our brain produces a lot more alpha and theta waves. Theta activity reflects the dreamlike state between wakefulness and sleep. 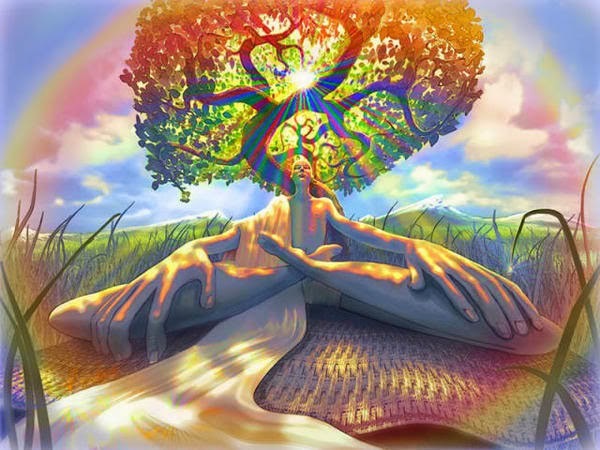 Theta rhythms are associated with meditation and shamanic states of consciousness. Theta increases creativity, enhances learning, reduces stress, and awakens intuition. Binaural beats can induce profoundly deep altered states within minutes. Begin your journey by sitting in a dimly lit space and wearing headphones. Reflect for a moment on the purpose of your journey, and then begin listening to the CD. Focus your attention on the tones, then close your eyes and feel yourself being carried away by the sound. It will take a few minutes for brain waves to synchronize with the binaural beat. Once you enter a trance state, you may experience a change in body temperature, feel energy flowing through your body, or find yourself twitching or rocking. It is not uncommon to hear sounds or voices. You may see colorful patterns, symbolic images, or dreamlike visions. In some cases, your journey experiences will be clear and easy to understand. At other times, your journey may be dreamlike and full of symbolism. Interpret such journeys as you would any dream. Look for possible associations related to each symbol or image. The key is to observe whatever happens without trying to analyze the experience. Like developing any skill, journeying takes practice. Nothing may happen on your first journeys. You may only experience darkness. When this happens, simply try again at a different time. just click on the link below & enjoy!